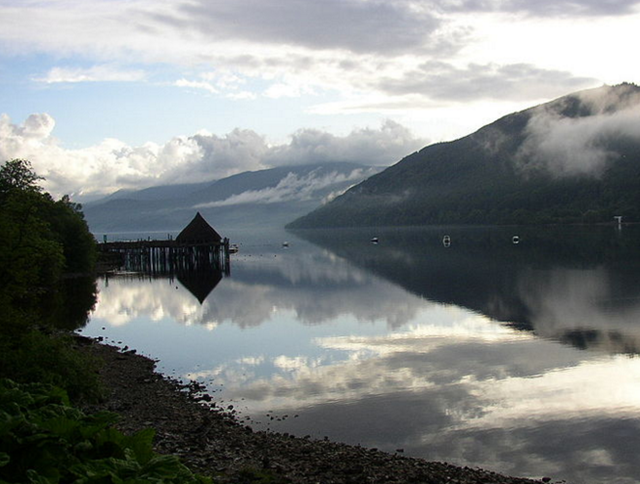 Loch Tay is a magnificent dark stretch of water, 15 miles (24 km) long and around 508 ft deep. It's hard to believe that ancient settlers once lived on Loch Tay, inhabiting artificially created islands known as crannogs. There are eighteen crannogs on Loch Tay, most are now submerged but a large crannog near the northern shore at Kenmore can be clearly seen. This was the ancient burial place of Queen Sybilla, wife of Alexander King of Scots. For a real insight into life on Loch Tay 2,500 years ago, visit the Scottish Crannog Centre at Kenmore - Scotland's only authentic recreation of an Iron Age loch dwelling. Loch Tay is popular with sailing and watersports enthusiasts and the small shingle beach near Kenmore is perfect for sunbathing. At Dalerb, 1.5 miles (2.4 km) west of Kenmore (off the A827) there is a parking area and picnic tables close to the water.